Professor Cram, who has been a tremendous supporter of the Scholars Program, joined the Faculty Fellows in the Fall of 2013. 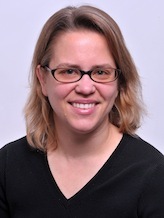 In her research, she uses the nematode C. elegans to investigate the role that the interactions between cells and their extracellular environments have in controlling tissue architecture, cell survival, and cell migration. Such processes are important for normal animal development and are disrupted in many human diseases. In collaboration with Dr. Carolyn Lee-Parsons of chemical engineering, Cram is also working to improve production of drug compounds by the medicinal plant Catharanthus roseus. 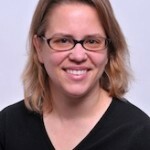 Cram was the recipient of the 2011-2012 Excellence in Teaching Award. Cram earned her B.S. from the University of North Carolina, Chapel Hill and her Ph.D. at the University of California, Berkeley. Professor Fowler has worked at Northeastern for over 40 years in a variety of research, teaching, and administrative capacities. During this time, Fowler has written and edited ten books and produced over 50 scholarly articles. 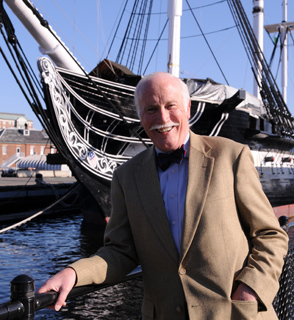 His work has primarily focused on Early American history, particularly maritime history and the history of Boston, from the period of European colonialism up through the founding of the Republic. A public intellectual, Fowler writes extensively for the popular press and has served on the boards of organizations throughout New England; he serves or has served as the Director of the Massachusetts Historical Society, the President of the New England Quarterly, the Chair of the Old North Church Foundation, and the Chair of the WGBH Community Advisory Board, to name but a few of his community commitments. Professor Minus is a professor of Mechanical and Industrial Engineering. In addition to being a devoted mentor, Minus' current research interests concern the structure-property relationships in nano-composites. Dr. Minus’ research is also focused in the area of fabrication and characterization of advanced high-performance polymer nano-composites. Polymers of interest include mainly those of linear architectures and biopolymers. 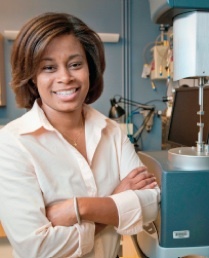 Her work also looks at the interfacial interaction of these polymers with carbon nano-materials to understand morphological behavior in high-performance composites. Dr. Minus is a member of the Society of Plastic Engineers, American Chemical Society, and Materials Research Society. 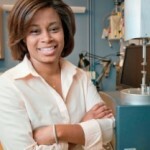 Prior to joining the faculty at Northeastern she was a Research Scientist at Georgia Institute of Technology in the School of Polymer, Textile, and Fiber Engineering. Professor Goodale is a professor of Communication Studies. As a renowned educator, Professor Goodale is a Faculty Scholar the the Center for Advancing Teaching & Learning through Research and a recipient of the Excellence-in-Teaching Award. Dr. Goodale is a graduate of the University of Virginia School of Law (JD), and the University of Illinois (PhD). 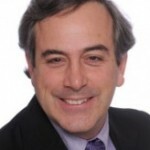 A former lawyer, lobbyist, and congressional aide, he continues his interest in democracy through his classes including Advocacy Workshop, Advocacy Writing, and Public Speaking. 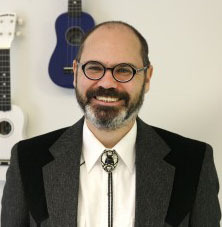 His research interest is Post-Humanism and his published works include “Arguments About Animal Ethics” (2010), “Sonic Persuasion” (2011), and “The Rhetorical Invention of Man” (2015). 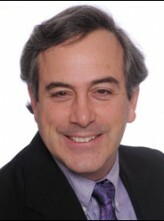 Professor Rappaport joined the Faculty Fellows in 2013. He serves as an Associate Director of the Bernard M. Gordon Center for Subsurface Sensing and Imaging Systems. Rappaport has been a professor at Northeastern University since 1987, mentoring scores of undergraduate researchers along the way. He received dual SBs, SM, and Eng from MIT in 1982 and the Ph.D. from MIT in 1987. 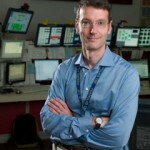 Rappaport's research has focused upon developing and integrating electromagnetic, acoustic, and optical sensing technologies to detect hidden objects and to use those technologies to meet real world subsurface challenges ranging from humanitarian demining to noninvasive breast cancer detection. 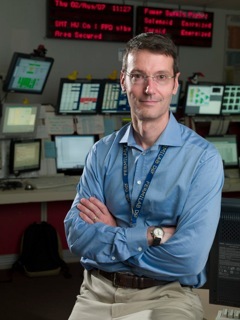 Professor Wood works in the field of Experimental Particle Physics, focusing in particular upon high energy collisions of protons and antiprotons. Professor Wood’s collaborations with scientists at both the Fermilab in Illinois and CERN in Switzerland have been instrumental in determining the masses of both the W and Z bosons and more recently, in producing the best evidence yet of the existence of the Higgs boson. These discoveries represent significant verifications of what is known as the Standard Model, physicists’ most fully fleshed theory to date of how the universe works.